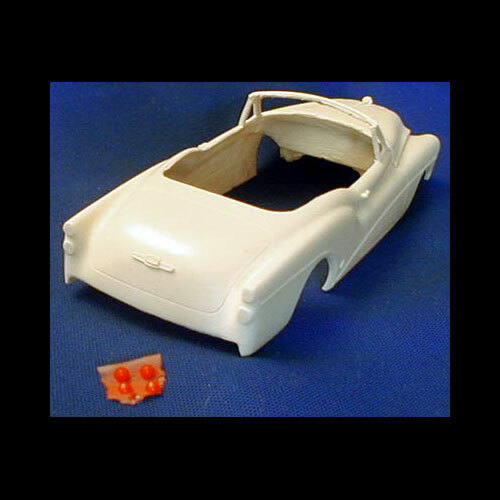 1953 Buick Skylark Convertible by R&R Resin. Includes one piece body, seats, dash, grille, bumpers, taillight lenses, headlight buckets, convertible boot, and vacuum formed windows. 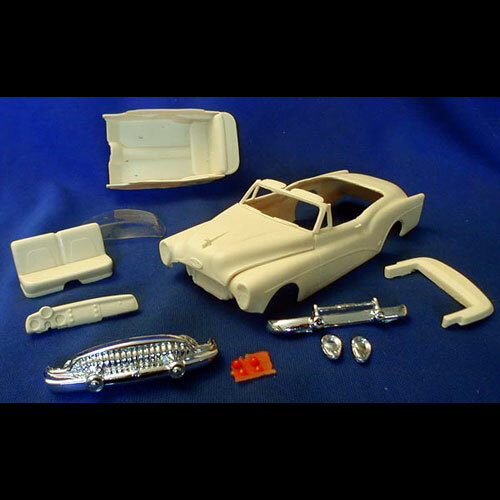 This resin model / body would require a GM model kit for donor parts to finish.